Postagram and I have only been acquainted for a short time, but I am already head-over-heels… as in, if I had the address for their corporate headquarters, a dozen roses would be headed its way. One of the best applications that I have on my iPhone is Instagram. Over the past few months, it has helped to transform the photos that I’ve taken with my phone (and my very limited photography skills) into pictures that I absolutely want to share. These options were good, but one thing was missing — I did not have the ability to easily share these pictures as tangible items. Well, along came Postagram to fill that hole! They pretty much say it all on their website — they allow you to turn your phone’s photos “into reality”. People will continue to use their mobile phones and social media channels to create and share content. In fact, they will continue to increase their usage of those devices and channels! 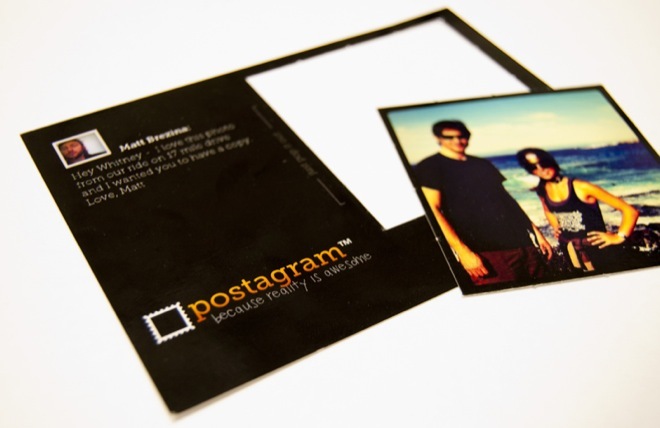 But as Postagram is quickly demonstrating, that does not have to be a bad thing for the print business. We simply to create opportunities for people to easily move that content onto the printed page. FSBONATIONWIDE.COM - Become a real estate agent in Toronto?